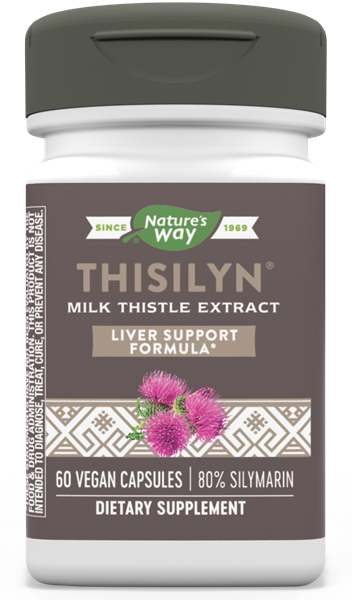 Thisilyn (Milk Thistle) / 60 Vcaps - Nature's Way®. Dissolution testing helps ensure the silymarin in Thisilyn proprietary extract dissolves quickly and easily in the digestive tract. Take 1 capsule three times daily with liquid before mealtimes. If pregnant, nursing, or taking any medications, consult a healthcare professional before use.